Megahome Water Distillers give you drinking water that is absolutely pure water - no contaminants, no pollutants, nothing that can do you any harm. Almost all tap water contains contaminants. But only distillation creates absolutely pure water. Water distillers are more effective that carbon water filters or reverse osmosis. 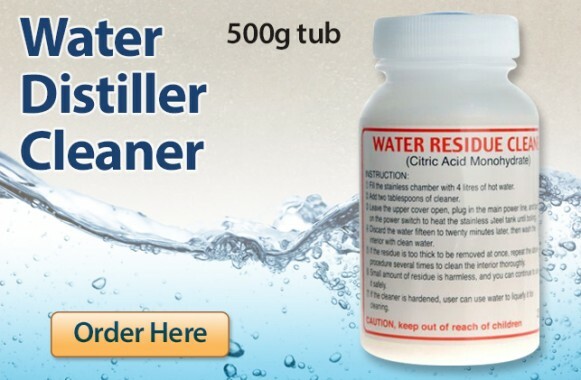 Distilled water is cleaner than RO water because ALL impurities are removed including chlorine, antibiotics, fertilizers, pesticides, bacteria, viruses and hard water minerals. Megahome are the World's favourite home water distiller. We are the original and best with a timeless design that other manufacturers have tried to copy. The product range includes: a standard water distiller, deluxe water distiller, marine-grade 316 distiller and an alcohol/essential oils distiller. The main benefits of drinking distilled water? 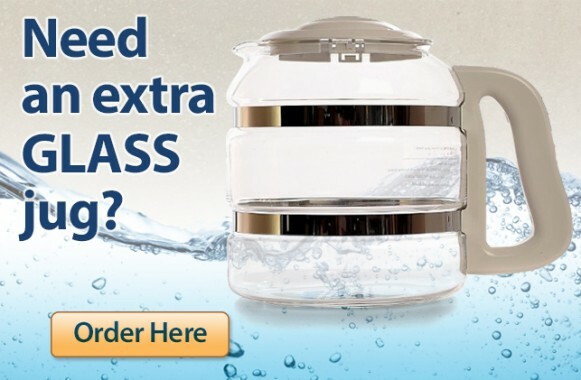 - Water distillers create the purest drinking water - purer then filtered or RO water or filtered water. - Distilled water has improved hydration. - Distilled water tastes clean. - Improves the health and appearance of your hair and skin. - Saves you money compared to bottled water - distilled water costs about 9p per litre to produce. 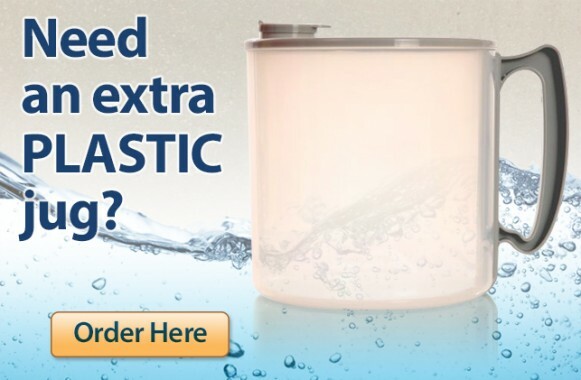 Why choose Megahome and not another Water Distiller? Megahome is the original and best - other water distillers are cheap copies of the Megahome. In independent tests Megahome produces purer water than other distillers. 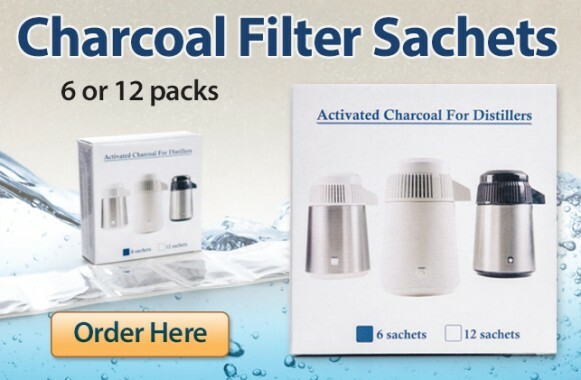 Comes with a charcoal filter to remove Volatile Organic Compounds (VOCs). UK Service Centre - we can repair distillers of any age. More compact than copy machines. Megahome water distillers are built to last. Check out the full product range of Megahome Water Distillers now for a healthy, pure drinking water.